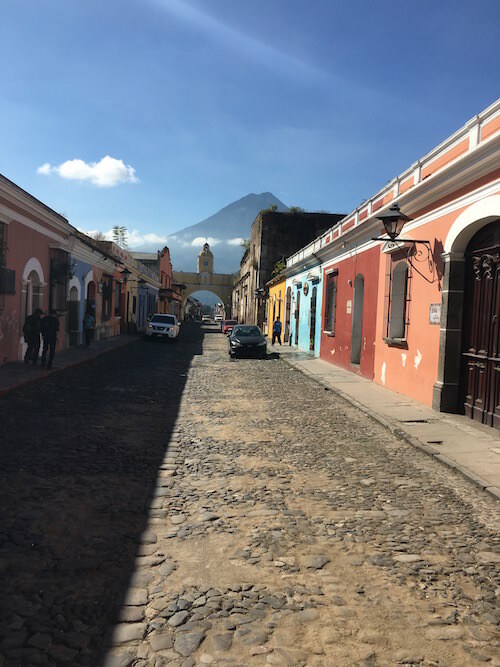 This is my Guatemala Travel Guide based upon the 10 days I spent in Guatemala, a beautiful country in Central America. I found the country to be overall safe, the people very friendly, and the infrastructure good for travelers. Guatemala (and Bolivia) have the highest percentage of indigenous people in Latin America; Mayan languages are spoken in most villages. Tikal: The ruins of Tikal as well as nearby Yaxha are the most impressive Mayan sites I visited. They are greater in scale than Chichen Itza or Uxmal in Mexico. 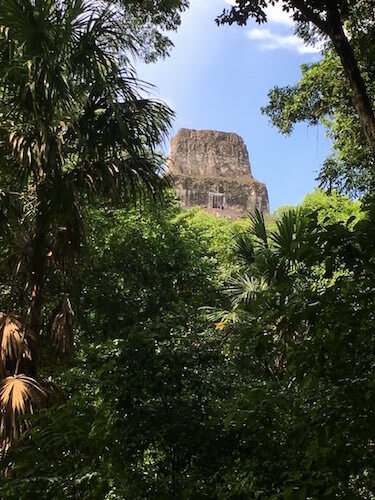 Tikal was once the most powerful kingdom of the ancient Maya people and the ruins speak for themselves. How to visit? Fly from Guatemala City or Belize to Mundo Maya international Airport. Where to Stay: The charming Island of Flores, near the airport, has many small hotels and restaurants. I enjoyed my stay at Flores Hotel Boutique. Guide: an excellent guide that I used is Mr. Luis Fileppe: Lipeluisg@gmail.com. Antigua: Antigua, Guatemala was the old capital of Central America until it was abandoned in 1776 due to earthquakes. The capital moved to Guatemala City. The town is a Unesco world Heritage site and has many superb monuments. 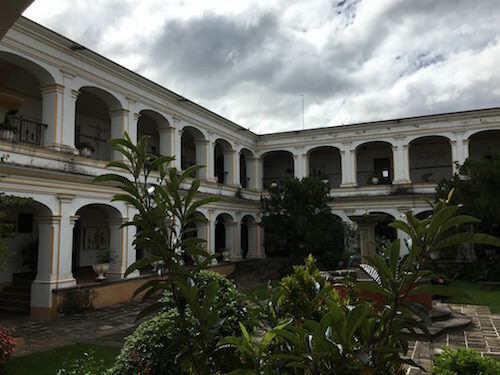 Antigua is also an excellent place to take Spanish classes, visit coffee plantations, climb one of the three volcanoes towering over the city, or simply chill out in the many cafes and restaurants in town. Where to Stay: Hotel Meson de Maria is centrally located with excellent service and a very nice roof terrace. Some of the more expensive hotels are further away from the center and less convenient to walk to after dark. Restaurant: don’t miss the Japanese/Asian fusion restaurant Origami created by Japanese expats. 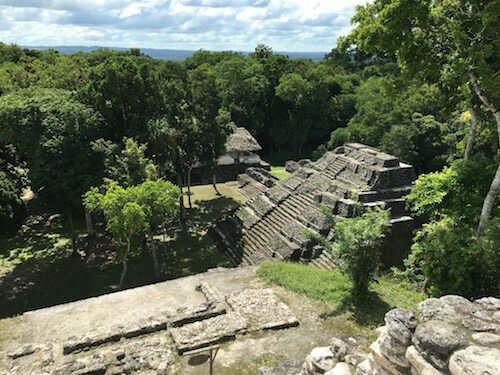 Guide: Sergio Garcia sergiomga@gmail.com can take you to visit Mayan villages are around town as well as other sites. Lago Atitlan: A beautiful lake about three hours drive from Antigua. The lake is surrounded by several communities each with their own character. I stayed in San Pedro La Laguna, known as a backpackers’ heaven. 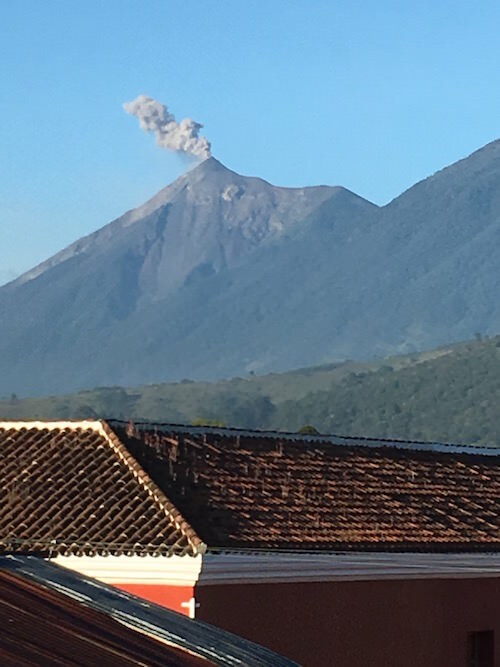 It has many Spanish schools, international restaurants as well as easy access to climb the 3000 meters San Pedro Volcano. Luna Azul B&B is a charming place to stay, far enough from the noisy party scene in San Pedro, but still an easy walk away. 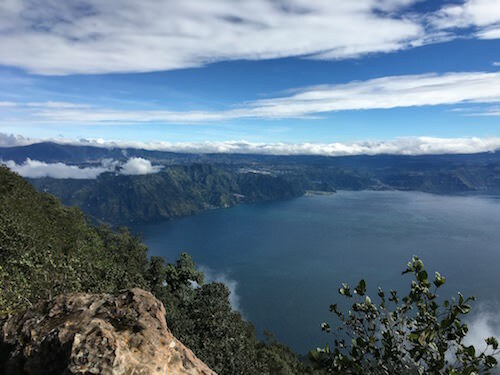 Other interesting communities are San Marcos La Laguna, which specializes in meditation and yoga retreats, and Panajachel where one can visit the wonderful Reserva Natural Atitlan and its thrilling Zip line (see video).